Handmade creations for babies, toddlers and special occasions. This design was provided by Stacey at Rustic Squirrel Handmade, through the amazing Christy at A Christy Production who just keeps these things coming, and all of the designers busy, busy, busy! ha ha jokes - it's fun to have a reason to craft! Wow! What a design. I kept putting this one off, but I finally got there, and I must say I'm pretty pleased with myself - I can say that right? I'm in the process of sewing some exciting new products (which I will reveal very soon). 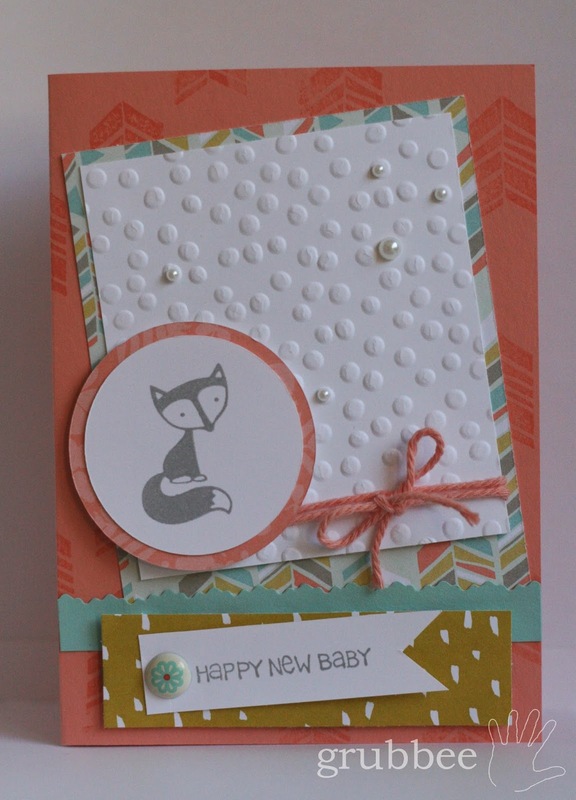 The baby theme has been on my mind, so I continued with it when I made this card. I used Crisp Cantaloupe, Sweet Sorbet designer paper series and some co-ordinating colours - pool party and Summer Starfruit. 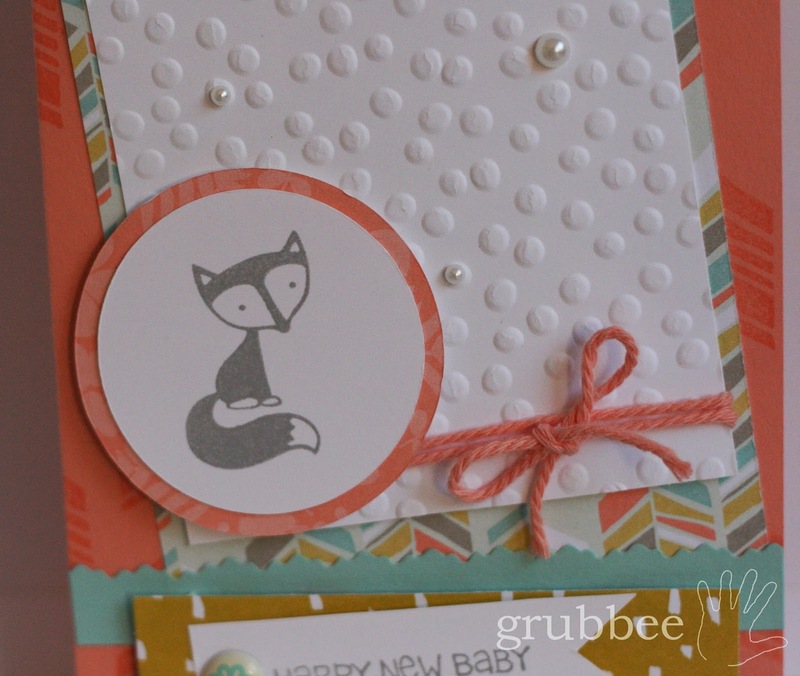 The stamp set is Fox and Friends, which I'm loving! I used Smoky Slate for the stamps. A few little embellishments never go astray - pearls, twine and a cute brad I found in the bottom of my stash. 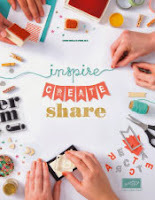 If you'd like to join in and create your own cards, head on over the A Christy Production and give it a go! 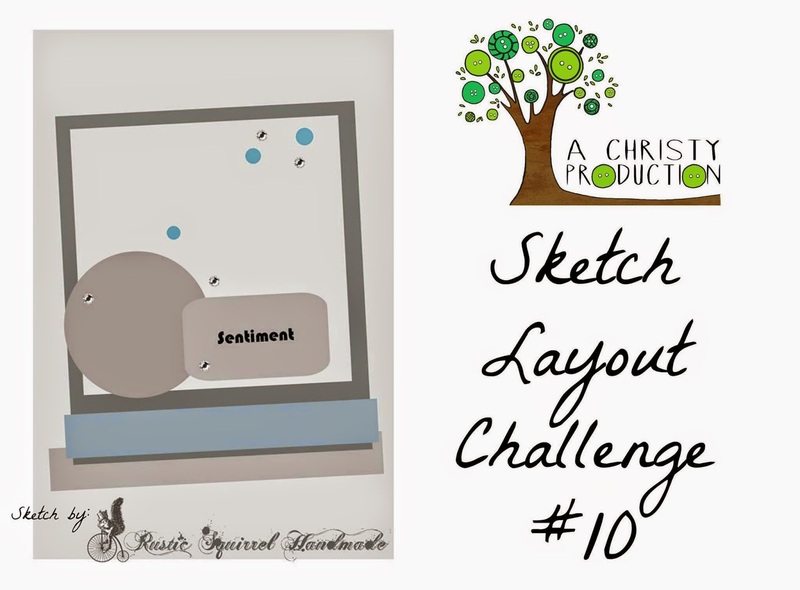 Labels: Cards, Sketch Layout Challenge, Stampin' Up! I discovered the delights of sewing in 2012 after having our first child. Now I have two little girls who keep me on my toes. I enjoy sneaking a quiet moment to sew or craft, but most of all, I enjoy being a mum.